A fun, delicious and easy-to-make snack for you and your kids to enjoy! 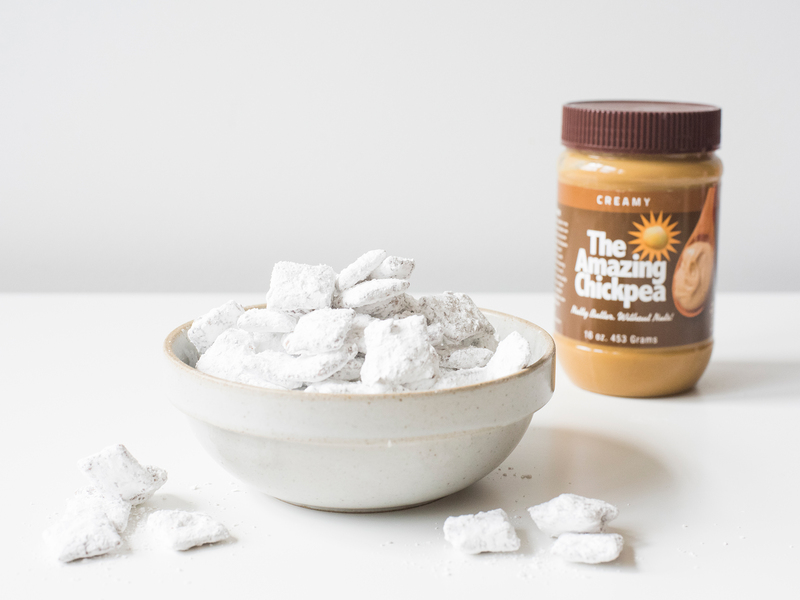 This chickpea spin on traditional puppy chow is just as delicious, and the perfect snack for on-the-go! In a large mixing bowl, melt chocolate chips and butter until smooth. Stir in Amazing Chickpea Butter until smooth. After mixed, carefully add in cereal till completely covered. Next comes the fun part: divide the powdered sugar and covered cereal into two large storage bags. After making sure the bags are tightly sealed, give them a good shake to cover cereal in powdered sugar.